Download Free iMac Workstation PSD Mockup.This iMac Mockup PSD is a great way to show your creative design work project to your clients on iMac Screen. 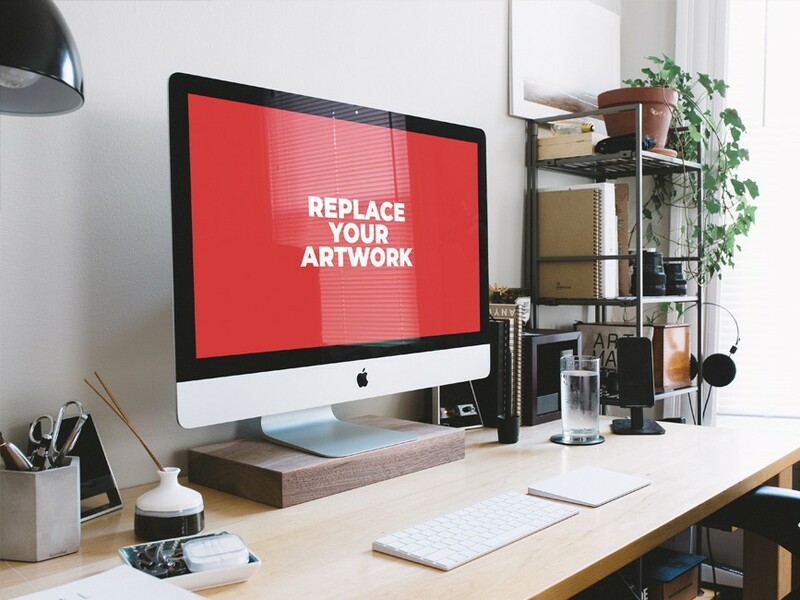 You can download and edit this iMac Workstation PSD Mockup that come in layered format using smart object. Nice work done by PSD.Graphics.